Sift provides consumers with the confidence, control, and convenience when online shopping. Online shopping has experienced tremendous growth lately due to its offered convenience. Our team was discussing our experiences with finding clothes online and realized that we all share the habit of basing our purchases off of reviews. However, it was tedious to scroll through all the reviews, trying to shorten the reviews to understand the product's quality. This got us thinking: what if we created a product that could summarize reviews for us to provide recommendations of the best product? This led to the birth of Sift. Sift provides consumers with the confidence, control, and convenience while online shopping through three steps. 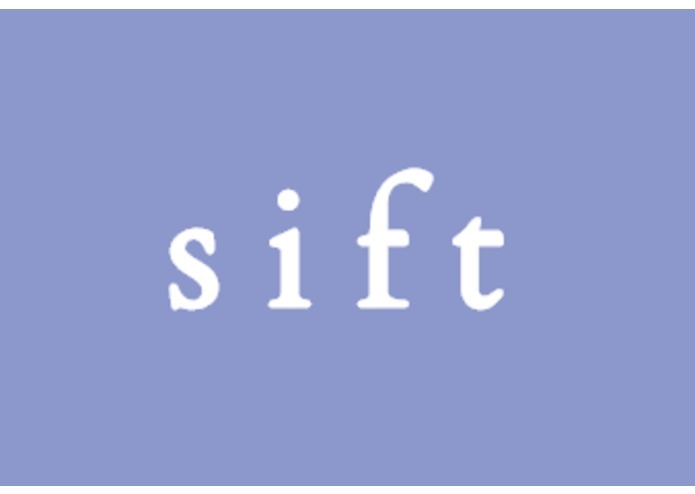 First, Sift summarizes all the reviews of the product the user is currently viewing to simplify the evaluation process. It then searches through our extensive database to find similar items and compare many factors like user ratings, user reviews, and price. Finally, the similar products are sorted based on Sift's recommendation to suggest the best items. One of the main challenges we ran into was the design of the Chrome extension in terms of the sizing and user interface. In particular, because of the limited time constraint, we focused on back-end development and teaching ourselves the machine learning aspect of sentimental analysis. It was many of our first times working with making a chrome extension and we are proud of being able to learn but also successfully implement it in time. The idea that we came up with solves a real problem today as e-commerce continues to boom. We learned about making Chrome extensions as well as using sentiment analysis and machine learning. In the future, hovering over the images and clicking details would produce a pop-up including the information about the specific product, including price, star rating, a summary of the user reviews, and user uploaded photos of the product. We would also number the similar items in order of Sift's recommendation after considering all these factors. We will also add more e-commerce websites for similar clothing items to broaden the scope of the extension. I worked on building a Machine Learning model for sentimental analysis for summarizing reviews of a product from different online shopping market places. I used NLP with python for sentimental analysis. Developed backend using Pyhton flask and sqlite and deployed as REST Apis.